GeaCom’s Phrazer is a hand-held device that gathers patient data while interacting with them to register, triage and educate. 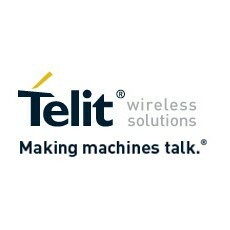 Telit Wireless Solutions, a global provider of high-quality machine-to-machine (M2M) solutions, products and services and GeaCom, a company that is dedicated to increasing access to quality healthcare through the development of innovative technology, today announced that GeaCom has selected Telit’s HE910 mini PCIe data card to enable high speed mobile data connectivity for Phrazer. Phrazer is an Edison Award winning CITE device that keeps patient centered care at the forefront as healthcare regulations continue to change. Phrazer leverages M2M technology employed in the HE910 mini PCIe data card to provide the same level of care received in hospitals by patients in remote locations around the world. The ability to videoconference and control each device remotely is a key benefit, as is the use of culturally relevant on-screen caregivers to get the best, most accurate information form patients. This allows the same high level of care to be provided to patients regardless of languages, literacy levels, culture, gender or background. The U.S.-made Phrazer is FDA and HIPAA compliant. Phrazer has an antimicrobial case and has been medically designed to be intrinsically safe. Patient data is instantly inserted into the correct fields of the clinician’s EMR system and real-time audio updates provide the caregiver with timely, critical patient information. “We selected Telit’s HE910 mini PCIe data card because it provides high-speed performance on HSPA+ networks. Moreover variants having the same mini PCIe form factor will allow us to market Phrazer globally,” said Mat MK Johnson, Founder/CEO, GeaCom, Inc. The 3.75G HE910 mini PCIe data card delivers 21 Mbps-down and 5.7 Mbps-up data rates on HSPA+ networks and is fully compatible with its EV-DO counterpart, the DE910 mini PCIe; thereby, providing connected device makers the maximum range of options for North American cellular operator support. The HE910 mini PCIe data card is particularly well suited for devices with high throughput requirements such as mobile computing, kiosks, PDAs, e-readers, tablet PCs, and consumer electronics in general. Several variants are offered, ranging from low cost tri-band models with reduced throughput, to fully-loaded configurations including receiver diversity and high sensitivity A-GPS functionality.